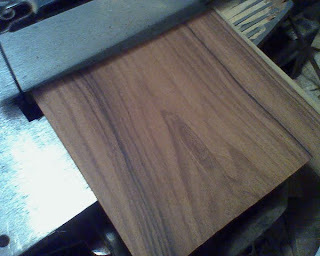 I'm using the wood from the same board that I'm using for the back of the guitar. 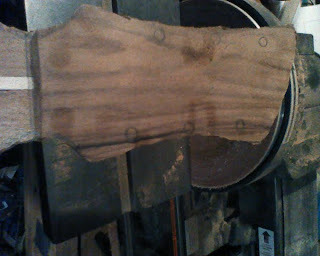 So I needed to see exactly what the back of the guitar will look like visually so I can cut the headstock from an unused piece of this wood. 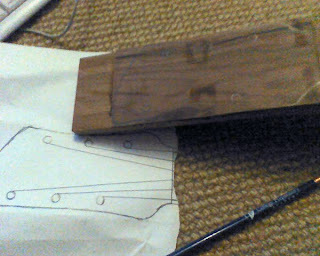 Two pizza boxes and some moving it around on the wood and I came up with this (above). Love it. Some of the unused piece. 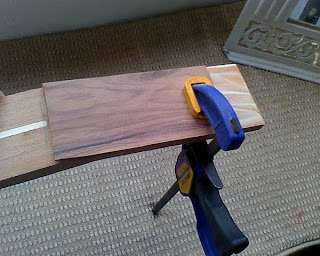 Sanded down to a veneer type thickness and gluing it on. 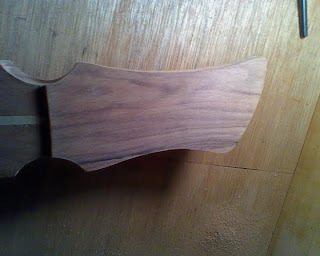 Drawing the shape on the veneer. 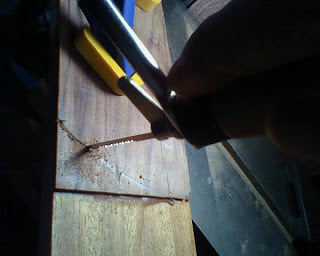 Cutting with the coping saw. 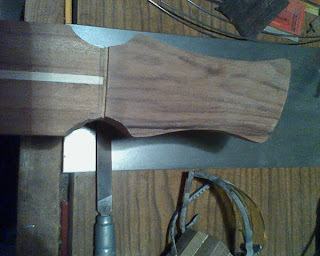 Funny I've never cut myself with a scroll saw (even with my fingers less than an inch from the blade), but I have twice cut myself with this tool – this project alone. 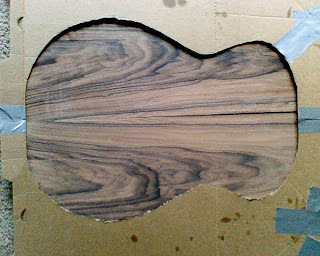 But it sanded out and looks awesome. 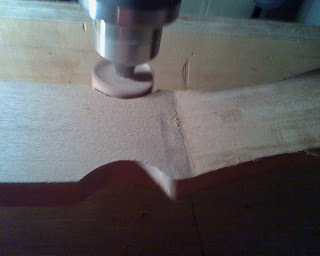 Sanding out the sides (yep the sanding drum was yet another tool I had to make for this job!). 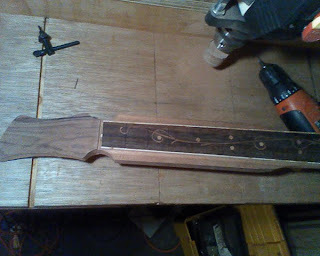 It's starting to take shape! 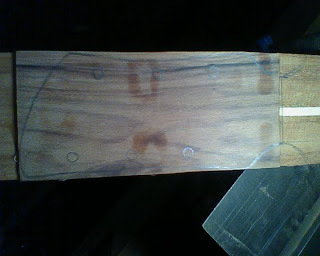 I will put the frets in next, glue the fret-board down and carve the rest of the neck.